1. 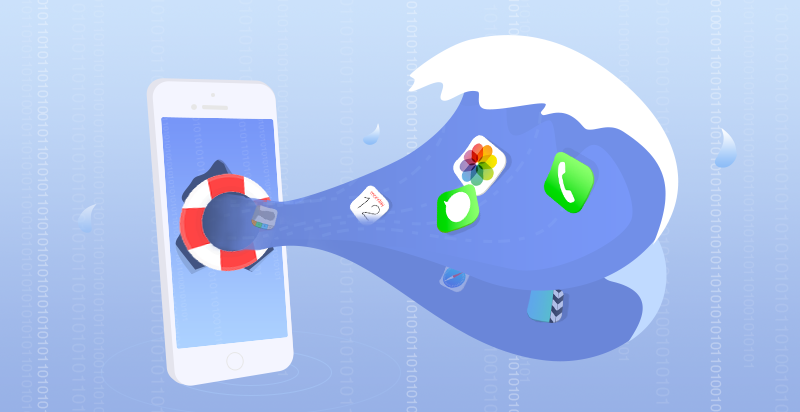 Recoverup to 25 different types of mis-deleted, damaged or lost iPhone content, including Personal data, Media data and even App data/attachments. 2. Offer you 3 recuperation modes: Recover from iOS Device Directly, Recover from iTunes Backups, Recover from iCloud. 3. 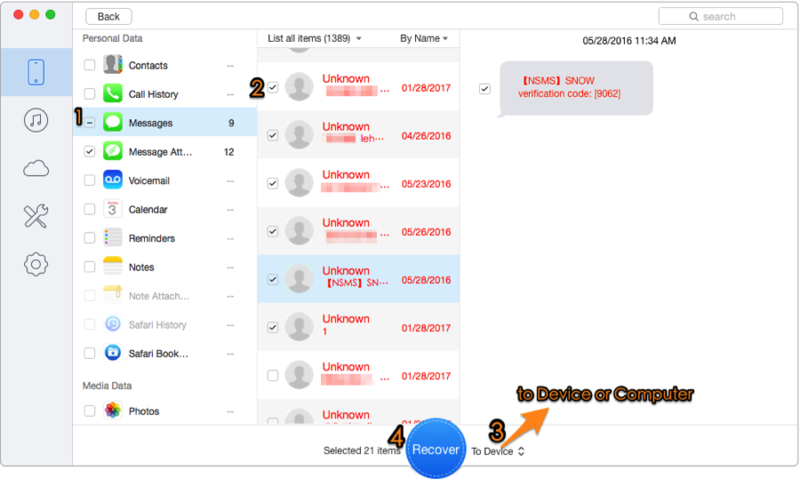 Restore lost messages/contacts and immediately return them to your iPhone, or to PC/Mac in suitable format like HTML, TEXT, CSV, VCF, etc. 4. Support to selectively preview and retrieve EACH message/contact/photo. 5.A risk-free iOS repair tool helps repair your iPhone from system errorslike white Apple logo, black screen or endless reboot loop. 6. Clean UI: User friendly interface is straightforward to operate. Primo iPhone Data Recovery puts the emphasis on easy. You really don't have to be a Windows/Mac expert to retrieve missing data. It's as ease as 1-2-3. 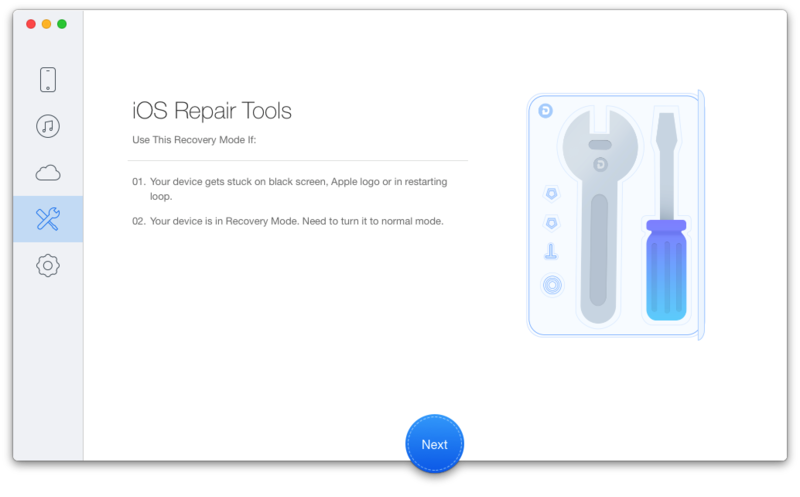 When you run this tool, it shows you five parts: Recover from iOS Device, Recover from iTunes Backup, Recover from iCloud, iOS Repair Toolsand Export Settings.If you have regular backups, it enables you to view and recover data in iTunes or iCloud backup. 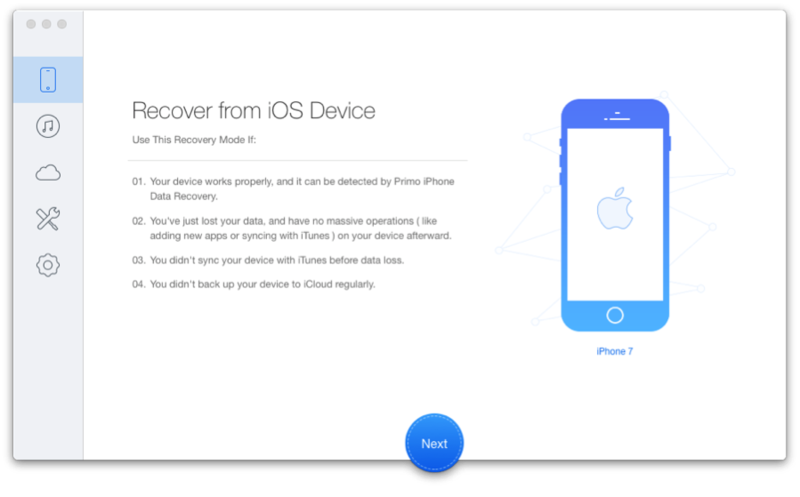 Although you don't have available backup, you can choose Recover from iOS Device mode to scan your iPhone and check the deleted files.Regardless of whether with any backup or not, Primo iPhone Data Recovery walks you through the process and you are easily able to recover what you need. How long that file keeps available for retrieval is an inexact science. Some can be recovered months or even buried years after they were originally deleted, while others might be overwritten in days or even hours. Therefore, once you realized the data loss, you would better to stop any performing until you recover the data. This is the golden moment when you may be able to get your data back before it's gone for good. Right , let's get started on the process of how to restore deleted or lost messages on your iPhone. The First step is to download Primo iPhone Data Recovery and install it. Once you run it, select the option Recover from iOS Device. And then click "Next" to scan your iPhone at the bottom. When the scan is completed, you can select your desired Messages or Messages Attachments to preview all of the found messages one by one. 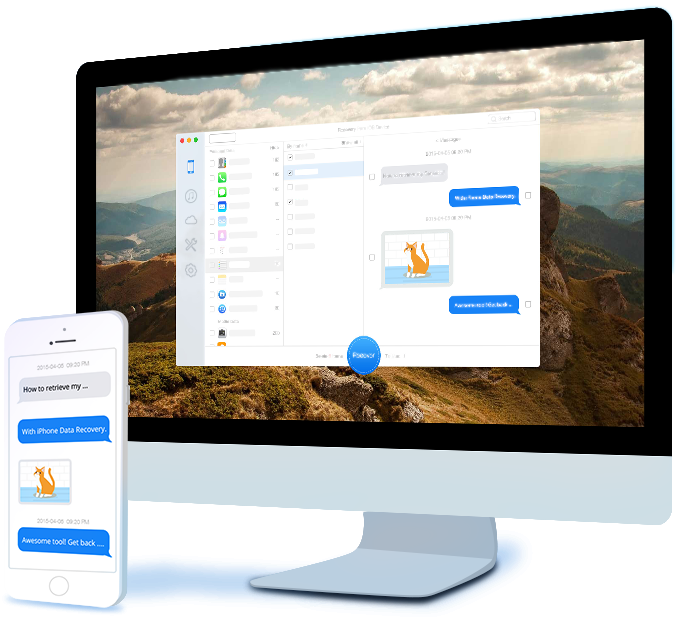 Meanwhile, you can choose the messages you want to recover to your iPhone or PC/Mac. Step3: Tap "Recover " button to retrieve your deleted or lost messages. Just one click, all your precious messages will be back to normal as usual.